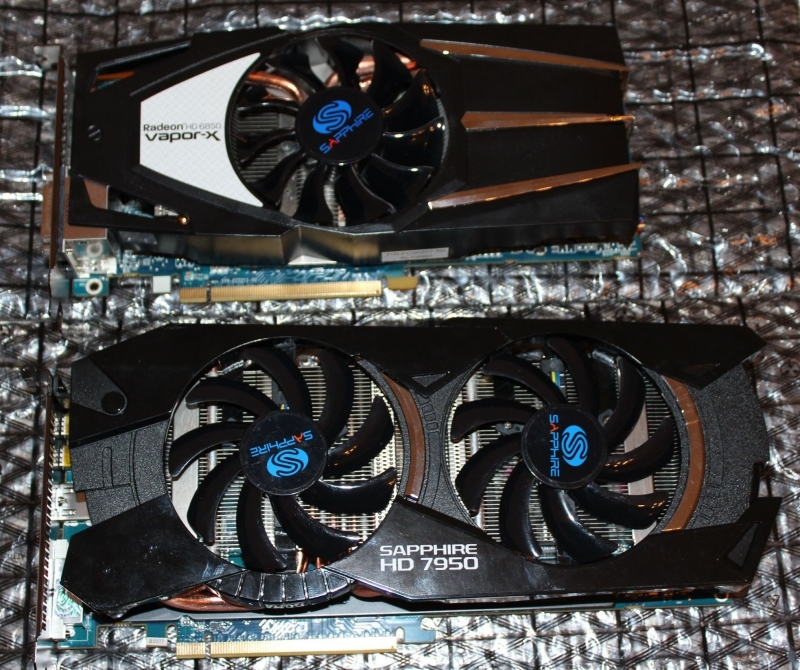 With the release of the New Radeon 79xx cards we have witnessed the new graphics performance king enter the market. With the world’s first 28nm GPU architecture the 7970 is a monster, however it also comes with a monster price tag. Ranging from $579 for a standard edition to over $800 for an overclocked version, this powerhouse will not be an impulse by. With that being said, we are fortunate to have the Sapphire 7950 Overclock Edition here for review today. This Enthusiast level card is capable of rendering any game you want to play in Eyefinity, with a much more palatable price range of up to $480. The Sapphire Radeon 7950 we have in the lab and before you today is the Overclocked Edition weighing in at a 900MHz Core and a 1200MHz Memory speed. It comes with 3GB of 384bit GDDR5 as well as a very nice cooling solution. This Gen3 PCI-E card is built on a GCN 28nm architecture and of course it’s DX11 fully capable.